To understand why it’s important to define the mobile app marketing mistakes that you might be committing, let’s start off with a case study of what was arguably responsible for “200 million wasted minutes every hour”- Angry Birds. 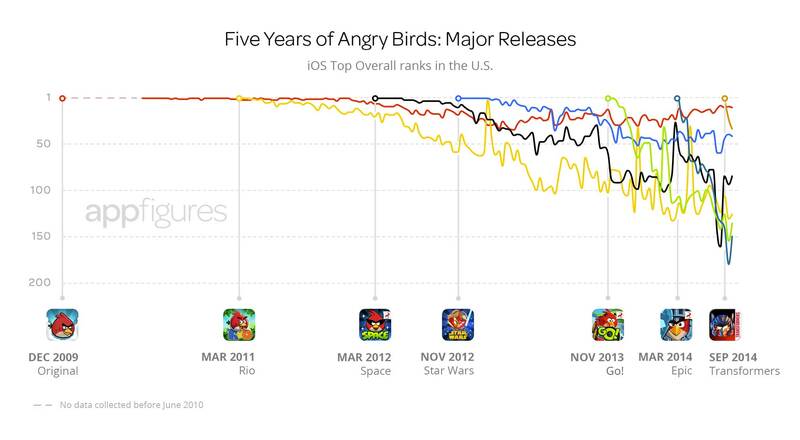 If there’s an app that quickly broke the charts after release, it has got to be Angry Birds. Back in 2009 and 2010, when the App Store was in its infancy stages, Angry Birds progressively rose to become the number one paid app in 68 countries and was subsequently named the best-selling paid app of all time. Almost all iPhone users had it, and they all loved the game. If you were riding the train, taking a flight, or waiting for someone at the office, chances are that you would be playing Angry Birds. It was much more than an app. It was a trend that was spreading like bushfire. And it all started at the marketing level. Now some people assume that Angry Birds was a hit because there wasn’t much competition at the time. People had to play phone games, right? And with graphics like Angry Bird’s, it must have been easy to penetrate the market, don’t you think? 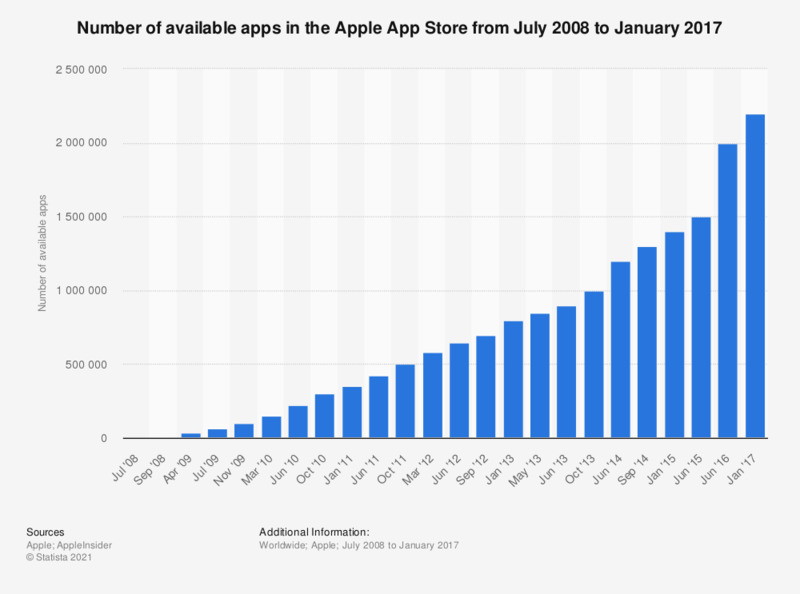 The thing is, when the game app started being distributed in December 2009, the App Store already had a little under 100,000 apps. 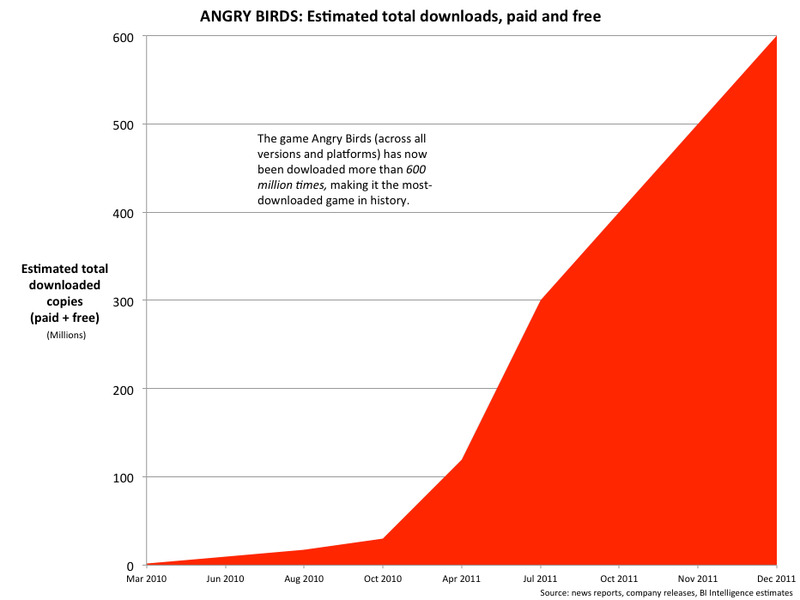 In January 2010, right when Angry Birds was starting out, users had already made more than 3 billion app downloads. Now that’s still solid competition. Fight to get noticed or get out of the kitchen if the heat is too much to handle. Many people may not be aware of this but Angry Birds flopped when it was launched. It must have been heartbreaking since it had taken 8 years and €100,000 to develop. But then the team quickly learned their mistakes and switched strategies. They realized that it would be hard to break into the chief English-speaking markets, because of stiff competition and a user base that was already too obsessed with other apps. So they attempted to rise through the charts by first dominating smaller markets. At first, it took only a few hundred purchases to secure the top spot in the App Store in Finland. Easy peasy. Then they refocused their localized marketing on Sweden, Denmark, followed by Greece and the Czech Republic. Before they warmed up to the biggest markets, they had already garnered a total of 30,000-40,000 downloads. Of course, the numbers may not have been huge, but they were four times the average. Large enough to impress Chillingo, a relatively successful independent publisher that was already in Apple’s good books. Chillingo consequently convinced Apple to feature Angry Birds on UK’s App Store as the game of the week. That, coupled with supplementary app marketing services saw the app jump from position 600 to 1 in a couple of days. And the rest is history. The App Store and its corresponding apps have substantially changed since then, and these strategies may not exactly turn out the same for your app. Angry Birds is also not as popular anymore, probably because its developers are not responding well to changing user preferences and trends. But the principal lesson remains…understand your mobile app marketing mistakes early to enough establish effective counter-strategies. According to Forrester’s App Discovery Report, 63% of iOS users discover new apps through the App Store. Not by being patient enough to scroll through over 2.2 million apps scattered in all the categories. But through quick and simple searching. The only way to hack the search tool is through App Store Optimization. It is as critical to apps as SEO is to websites when it comes to being discovered through Google. But sadly, many developers are still taking it very casually. Even more unfortunate is the fact that it’s still not being comprehensively implemented by developers who understand its relevance. Good and strategic ASO won’t just improve your App Store Ranking. It will also boost your app’s chances of being featured by Apple, and possibly even propel it to the App Store’s Top Charts. So don’t just enter random keywords into the keyword field and leave it at that. You need to have a deep understanding of the whole process and your target audience before you even find a good name for your app. In addition to the keywords, Apple ranks apps according to the title, overall revenue, number of downloads and rating. Choosing good keywords and an app title is relatively easy. It only requires broad analysis of your audience and the corresponding terms they run through the App Store’s search tool. Improving your app’s rating, boosting revenue, and increasing number of downloads- on the other hand- is a different story altogether. You have to work on your App Store page’s engagement levels by tweaking several features including the app’s icon, description, screenshots, user interface and app demo video. Essentially, it should be ideally appealing to prospective users and use a creative monetization strategy. The purpose of building an app and distributing it through the App Store is not to just win over prospective users, and subsequently get them to download it. You have to look at the big picture- the actual ROI value of your app. If your app store optimization is solid, the app will progressively record impressive conversion rates. But sadly, a download is just useless if it doesn’t translate into revenue. If the app is not as good its corresponding App Store page, users will increasingly abandon and even forget about it as soon as it’s launched. And that means lost revenue, which does not only reduce the ROI but also affects your overall app store ranking. Apple is known to only favor apps that continuously generate good revenue because they also get a cut. Basically, your audience needs to love the app after download, and launch it not once or twice…but repeatedly. If it’s outstanding, the bulk of them will even place it on their home screens. And that’s precisely what you should be looking to achieve. Users only return to apps that consistently provide value for them. In the Angry Bird’s case, we’ve explored, the game has always been entertaining and comes with multiple stages, whose difficulty increases with your level of skill. So players are usually obsessed with hacking the most difficult stages to unlock new challenges. And that has always been a source of pride for seasoned gamers. To keep attracting users, get the value right from the bottom line. Design the app around a consistent a recurring use case, then creatively focus the marketing on that. Establish engagement mechanisms for the app to re-connect with its downloaders, and keep reminding them of its presence on their devices. Most importantly, leverage a creative revenue model that your target user base will best work with. Of course, app launches are important milestones for both marketers and developers. Seeing your app finally listed in the App Store is special, particularly when you start recording the first downloads. Unfortunately, app launches are often misunderstood by both parties. It essentially signifies an app’s debut and the official kick-start of the distribution campaign, but that shouldn’t apply to the marketing strategy too. Your marketing should be rolled out way before the official launch. It’s the best way to generate buzz and rally your target audience around an anticipated app launch. That’s how Apple was able to record pre-orders of the iPhone X days before the official launch date. In retrospect, they might have as well used the funds raised to produce and distribute the first set of units. Developers, even when their apps are built on complicated codes, consider marketing the most difficult aspect of app creating and subsequent distribution. It’s an extensively broad subject with dynamic strategies that are consistently evolving, and it’s difficult to get them right especially when faced with stiff competition from already established brands. But, fortunately, there’s an easy way out. You can hire a seasoned marketing agency like PreApps to spearhead your entire marketing campaign- From prelaunch marketing to post-launch marketing, which should be seeking to keep your app relevant and maintain a steady flow of visitors. PreApps has worked with thousands of apps and has consequently boosted app downloads by up to ten times. By now, you must have noticed that most of the talk on mobile app marketing revolves around the actual app, plus the app store page and the corresponding app store optimization. These might be the most important elements, but they are definitely not the only aspects relevant to marketing success. While there are many things that are occasionally forgotten, there’s one extremely critical element that is often left out by the bulk of developers- an accompanying website. The common misconception is that since the App Store is already hosting the app, and it already has an extensive base of regular visitors- why would you even need a website that would probably struggle to attract even a tenth of the App Store’s visitors? Well, although it might not be able to compete with the sheer power of the App Store, your website is your main operating base. Since App Store pages are usually very limited and regulated by Apple, you need a third party platform from where you can coordinate your entire marketing campaign. A website is particularly ideal for gradually building an audience through great content. A solid app press release, for instance, would attract a readership that can be subsequently directed to your app store page. App reviews posted by renowned reviewers will also be linked to your website and the corresponding app store page to supplement your SEO, and rally your target audience. Mobile app marketing is as critical to Google Play Store as the App Store. And many people are often confused by seeing the same marketing terms used on App Store Optimization applying to the Google Play Store. Keyword use and app ranking, for instance, are equally relevant to both of these marketplaces. Consequently, we’ve seen some developers use the same marketing strategies on The App Store as on Google Play Store. And you guessed right- it always ends badly for the affected apps. While we acknowledge that the App Store and Google Play Store share some similarities, they have significant differences when it comes to App Store Optimization. In keyword ranking for instance, the App Store ranking algorithm has been set to crawl only through keywords entered in the specified keyword field. Google Play Store, on the other hand, uses an algorithm that runs just like Google’s crawling protocols. It picks up keywords on pretty much everything- the app title, description, and list of updates. Therefore, it would be unwise to use Google Play Store marketing experts on the App Store, even when you’ve already launched your app on the former. It must be inconvenient, but that’s how things go when you switch between two competing brands. In 2009 and 2010, Angry Birds progressively rose to become the number one paid app in 68 countries and was subsequently named the best-selling paid app of all time. Angry Birds flopped when it was initially launched, but the team learned their mistakes and switched strategies. They attempted to rise through the charts by first dominating smaller markets, before warming up to the biggest markets, they had already garnered a total of 30,000-40,000 downloads. Understand your mobile app marketing mistakes early to establish effective counter-strategies. According to Forrester’s App Discovery Report, 63% of iOS users discover new apps through the App Store. Many developers are still taking ASO very casually. Even more unfortunate, the fact that it’s still not being comprehensively implemented by developers who understand its relevance. If the app is not as good its corresponding App Store page, users will increasingly abandon and even forget about it as soon as it’s launched. And that means lost revenue. To keep attracting users, get the value right from the bottom line. Your marketing should be rolled out before the official launch. It’s the best way to generate buzz and rally your target audience around an anticipated app launch. Your website is your main operating base. Since App Store pages are usually very limited and regulated by Apple, you need a third party platform from where you can coordinate your entire marketing campaign. While we acknowledge that the App Store and Google Play Store share some similarities, they have significant differences when it comes to App Store Optimization. Which other mobile marketing mistakes have you come across? Feel free to share with the community.